MemoPark is available for iOS and Android. It is the ultimate App to remember where you parked. MemoPark is the best way to find where you parked. Just click the Park button and your location will be stored. You can even add a note (like the floor where you parked or something to help you). 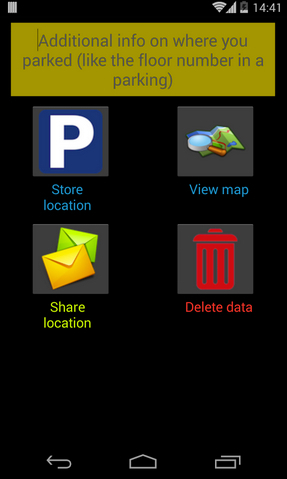 Then you just need to click on the View Map icon to find your car easily. You can even share a Google Map with your car’s location to whoever you choose. Parking, finding your car, and telling people where you parked has never been easier! MemoPark Pro is the best way to find where you parked. Just click the Park button and your location will be stored. You can even add a note (like the floor where you parked or something to help you). 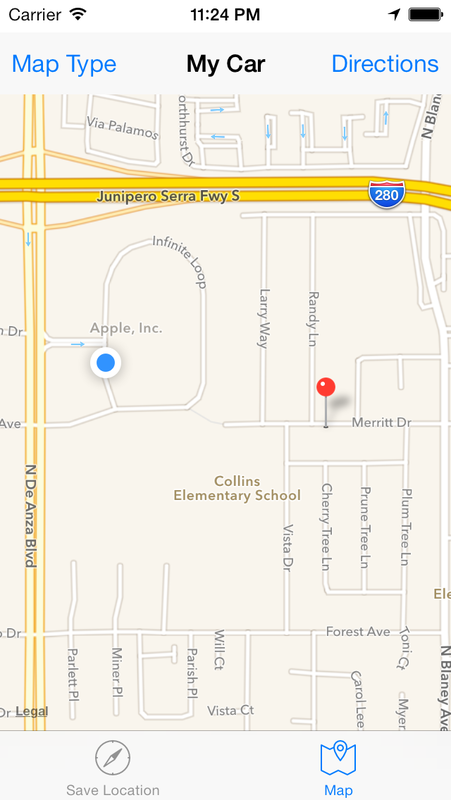 Then you just need to click on the Map tab to find your car easily. You can even share a Map with your car’s location to whoever you choose via E-mail, iMessage, SMS, Facebook, Twitter or copy the message to your clipboard and use it in any App. 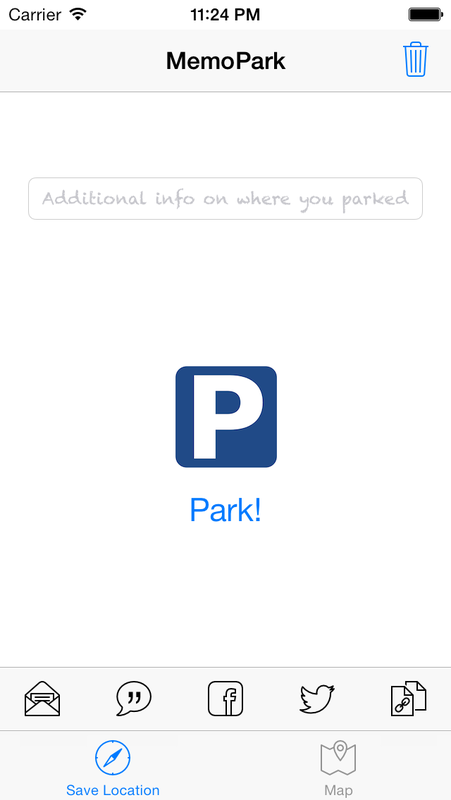 Parking, finding your car, and telling people where you parked has never been easier!